The SA Navy is committing two surface and one sub-surface platform to the upcoming Exercise Atlasur XI for combined evolutions and training with Brazilian and Uruguayan naval elements. The Valour Class frigate SAS Amatola (F145) with a Super Lynx maritime helicopter embarked along with the hydrographic vessel SAS Protea (A321) and embarked elements of the Maritime Reaction Squadron (boat, diving and boarding teams) will be the visible elements of the SA Navy (SAN). 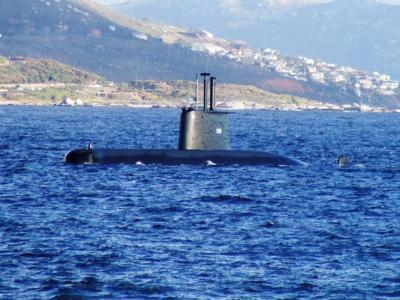 The Heroine Class Type 209 submarine SAS Manthatisi (S101) completes the SA Navy component of the tri-nation exercise. Other SA National Defence Force (SANDF) elements taking part in Atlasur XI are the SA Air Force (SAAF) with a single maritime surveillance aircraft, a 35 Squadron C-47TP as well as an Oryx medium transport helicopter, probably from 22 Squadron, and a pair of fighter aircraft. These were not specified at the time of publication but will, in all probability be 2 Squadron Gripens, based at AFB Makhado and working out our AFB Overberg for the duration of the exercise. The Brazilian frigate BNS Barroso with an embarked Super Lynx maritime helicopter and a seven-strong Special Forces team will be one part of the South American component taking part of Atlasur, which Argentina is not part of this time around. The other South American country coming to Simon’s Town, where Atlasur will be headquartered, is Uruguay. The replenishment vessel ROU General Artigas with an embarked helicopter and a VBSS (visit, board, search and seizure) team will take part in alongside phases ahead and at the end of the exercise as well as both sea phases. The SA Navy said in a statement South Africa is host and lead nation for Exercise Atlasur XI which starts on 31 August and finishes on 21 September. When Atlasur is over the Uruguayan ship will depart for her home port with the Brazilian ship remaining at SA Navy fleet headquarters ahead of Exercise Ibsamar.